Kelsey E. is a determined, confident, and fun loving freshman. Kelsey says that sleeping and socializing with people are easy activities for her. She is motivated by success in whatever she does. Kelsey already knows what she wants for her future, she hopes to graduate from law school, and become a lawyer. Biology is not one of Kelsey’s strong subjects but lunch is, by far, her strongest school subject. As a freshman, she is a bit nervous about the work and and says her biggest challenge is procrastinating, but she is determined and strives for the best in what she does. Kelsey likes to usually work independently and she defines it as “to be able to work alone, be knowledgeable, and be a strong person mentally.” Kelsey joined the Padua 360 team in hopes of getting to know all of what is going on around Padua. Photography and graphic design are what interest her the most about journalism, so she is very excited to hopefully get a chance to help design the website. Kelsey enjoys reading the stories on Daily Mail, People, ESPN, and BuzzFeed, especially on the Snapchat news feed. She could spend up to an hour just reading the exciting stories especially ones on celebrities like the Kardashians. Kelsey states that if she could be someone for a day she would pick one of the Kardashians because everyone knows them and they have an luxurious life. Kelsey’s favorite sport is rowing, and she says that she loves it because that is what she is most passionate about. She is currently on a rowing team and she says that even though rowing sometimes can take up a lot of time she loves it. “Athletes that have gone to college and have been able to pursue their dreams are big role models to me,” Kelsey says. 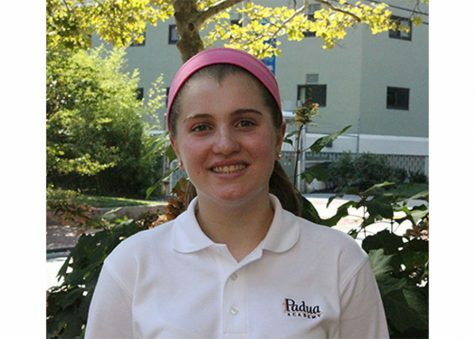 She hopes that during her time at Padua she can balance school and sports and still be successful. Athletes are of course not her only role models; Kelsey says that she looks up to many of her family members. Kelsey is very excited to join the Padua 360 team, and she defines a team player as someone who is confident, works well with others, respects, and cheers others on. She is looking forward and is very excited to start her journey at Padua Academy and can’t wait to have new experiences.